This solo exhibition (October 13 – December 16, 2017) is Suga's first presentation in Belgium since his participation in the Biennale Middelheim in 1989. It will provide a compact survey of his career, featuring small-scale reliefs from the 1970s to his most recent large-scale constructions. 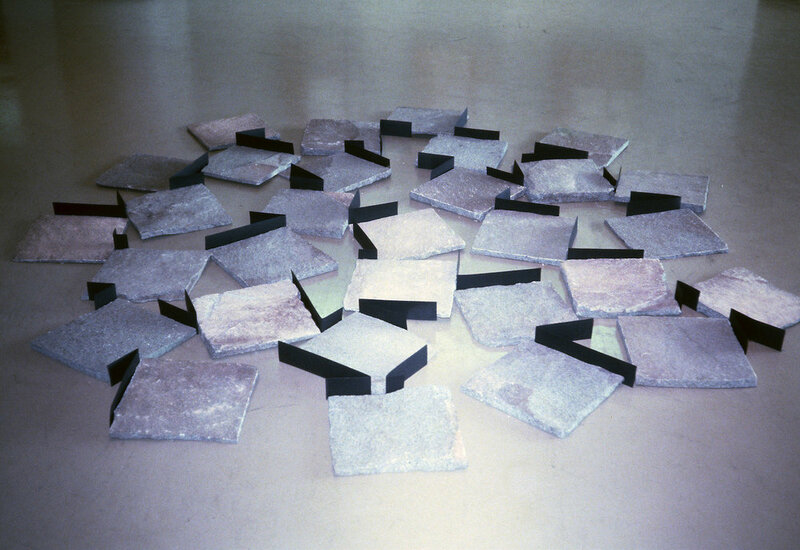 In the center of one of the galleries, he will display Placement of Stone Entities (1982/2017), an indeterminate arrangement of stone slabs bordered by folded strips of black paper. This is the first remake of this work since its original inception at Tama Art University, Tokyo, in 1982.